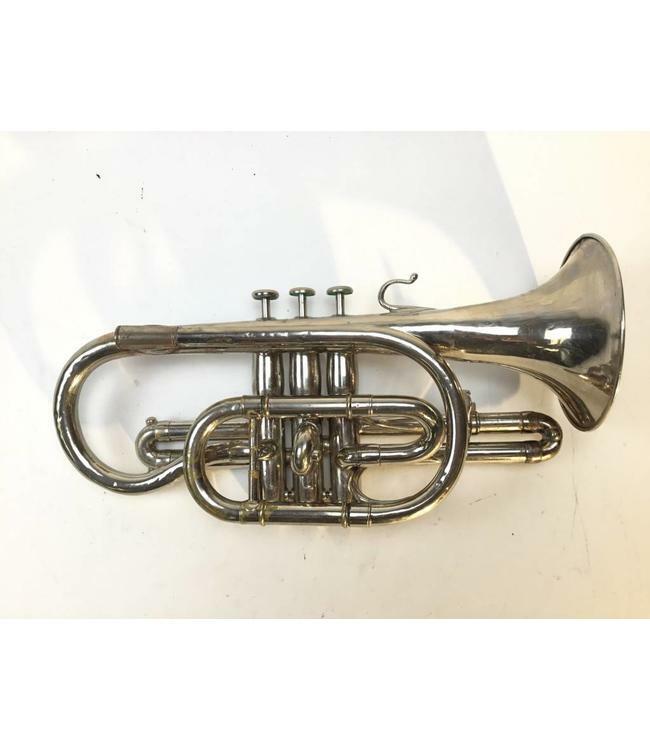 Used F. Besson Brevete Bb Cornet in nickel plate. Instrument is in good condition with dents and plating wear throughout and crack in bell rim that has been repaired. Bell stamping: proportions et forme, 7 Rue Des, 5 Couronne, A Paris. Includes pig tail and original case. Sold as is.